Takuya Kimura, SMAP member and one of Japan's favorite male idols. After a 22-year streak of sending pop fans into a frenzy, Japanese "boy" band SMAP debuted their newest single this past week, "Upside-down Sky," which rocketed to the top of the charts immediately. It's not the band's first time there, either - it's actually its 24th time hitting the No. 1 slot, and its second time this year. Maybe SMAP sounds more to you like the sound of a bug hitting a windshield than the name of a band, but these guys have nailed the boy band formula in a way that few American bands ever have. With 19 studio albums and 45 singles, they are just as successful as a New Kids on the Block or Backstreet Boys, but they have something more: longevity. "They're ubiquitous," says Eric Allerton, founder of the Japanese culture hub Gaijin Kanpai network. "They work like crazy hosting variety shows, charity events, and they star in dramas and commercials. They're famous because they were one of the first idol groups ever and they've grown up with their fans." "And now, all the housewives drool over them because they're on TV 23.5 hours a day." But it's not just SMAP. Its members are a golden example Japan's "male idol" - beautiful people who wear their hair longer, prefer fitted clothing and are even sometimes mistaken for women. 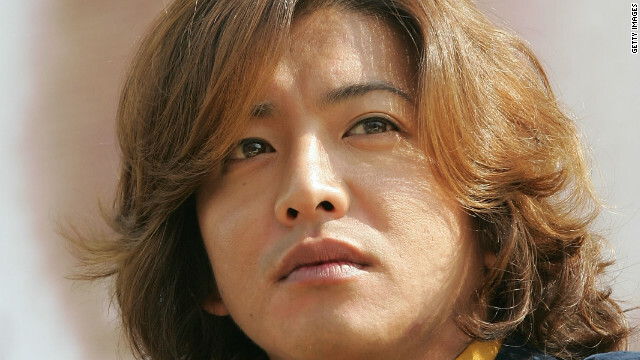 SMAP member Takuya Kimura has often worn his hair in a style that is usually considered ladylike, and the fans love it.